Marvel’s Captain Marvel Has Taken Flight! Marvel Studios’ CAPTAIN MARVEL – Brie Larson (left) gets hands-on help from Brigadier General Jeannie Leavitt, 57th Wing Commander (right), on a recent trip to Nellis Air Force Base in Nevada to research her character, Carol Danvers aka Captain Marvel, for Marvel Studios’ Captain Marvel – Photo by Brad Baruh/Courtesy of and ©Marvel Studios 2019. Marvel’s Captain Marvel has begun principal photography in Los Angeles for a March 8, 2019 release. 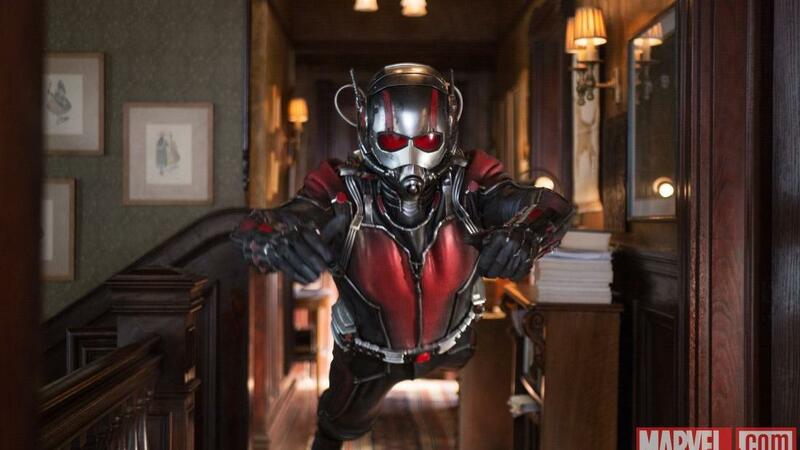 Marvel’s Phase Three Includes Ant-Man Sequel! Marvel is high on Ant-Man. So much so that the diminutive superhero has been given a sequel that will introduce the Wonderful Wasp – Ant-Man And The Wasp – on July 6, 2018. Not only does this come as a bit of a surprise, Ant-Man And The Wasp has caused a reshuffling of Marvel’s Phase Three slate: Black Panther, which formerly had Ant-Man’s new release date, is being moved forward to Febraury 16, 2018, and Captain Marvel moves to March 8, 2019. For details, follow the jump.